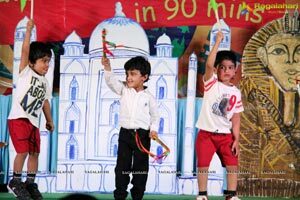 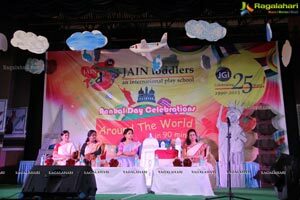 Tiny tots from 'JAIN Toddlers' celebrate their annual day with the theme 'Around the world'! 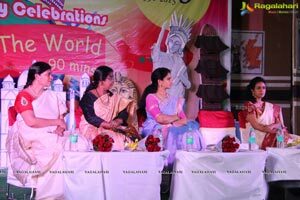 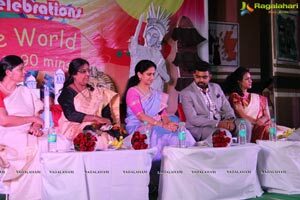 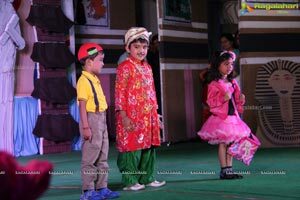 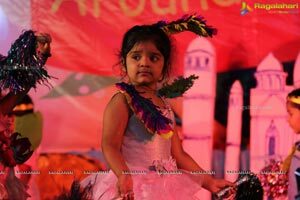 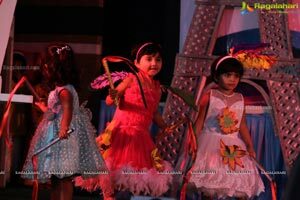 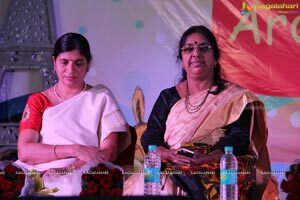 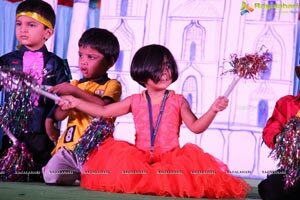 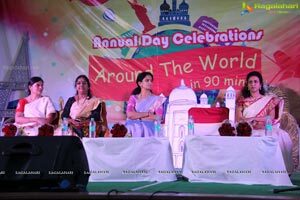 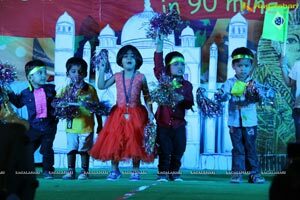 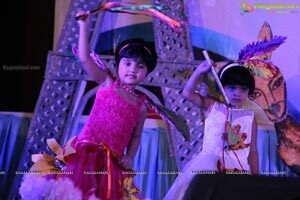 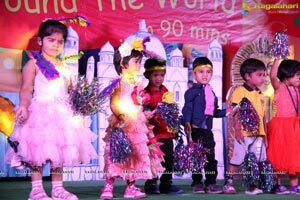 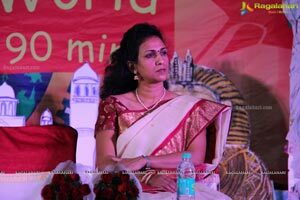 Hyderabad, December 12, 2015: The tiny tots of JAIN Toddlers - an international play School - made merry at the Annual Day Celebrations of the school, themed 'Around The World' on Saturday at Sri Satyasai Nigamam. 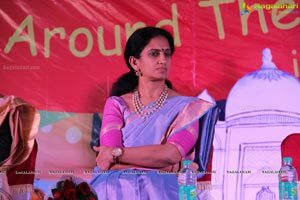 Chief Guest Mrs. Vanita Datla, Chairperson, CII Telangana & CFO & Executive Director, ELICO Ltd., inaugurated the celebrations by lighting the lamp. 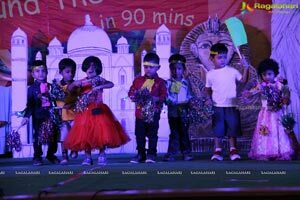 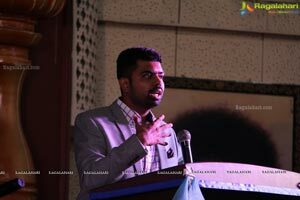 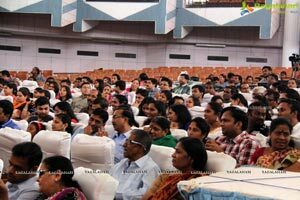 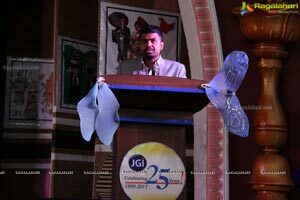 Also present on the occasion was Mr. Chandrashekar DP, COO, JGI JAIN HERITAGE and the overjoyed parents of the kids. 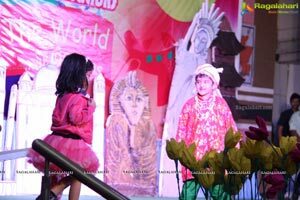 The children frolicked around and engaged in playful activity, amusing everyone present there. 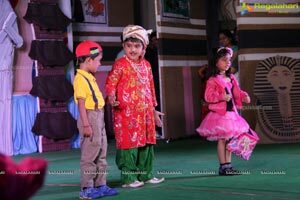 About 225 children in the 2 to 5 years age took the audience through a world tour in 90 minutes and exhibiting different cultures and traditions of 15 countries around the globe. 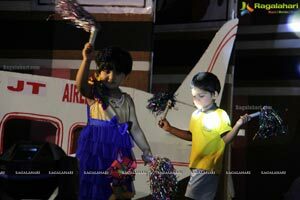 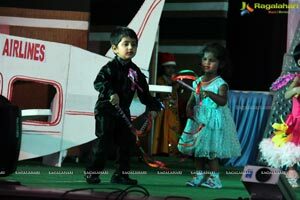 The show began in a fascinating manner with Children of Jain toddlers accompanied by Air India Maharaja start on a world tour. 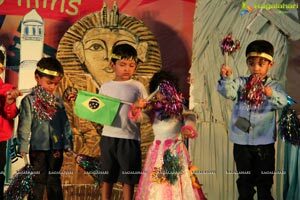 The first stop is Dubai, the children from UKG perform to Arabian music. 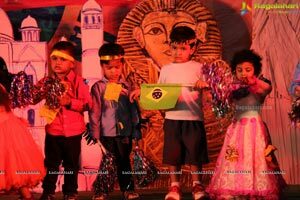 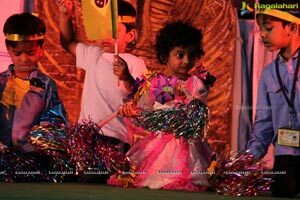 The next stop is Brazil, Nursery children of Kondapur School do a Brazilian carnival, dressed colourfully and dance with different props. 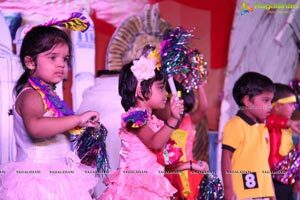 Next they move to Japan and where the tiny tots of Pre Nursery dance on a Japanese song all dressed up in Kimonos and holding hand fans. 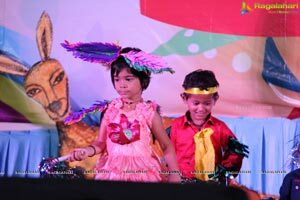 Africa being the next stop, the children of Nursery of Manikonda dressed up as animals dance, which is followed by the African tribal dance by UKG children of Kondapur. 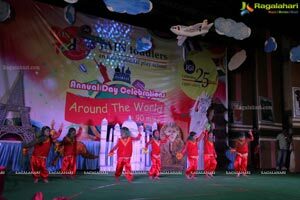 The tour continues with the next stop at Russia, the UKG children of Kondapur singing the song of Jingle bells in Russian with Santa claus dancing in the backdrop. 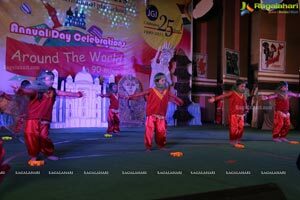 At California, the Kondapur School children of LKG join disney characters in a jig on a Happy Song. 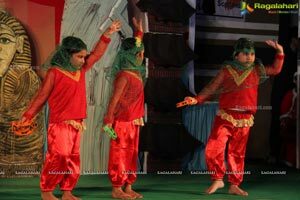 The next move is to the Wild West and cowboy dance is performed by children of LKG from Manikonda. 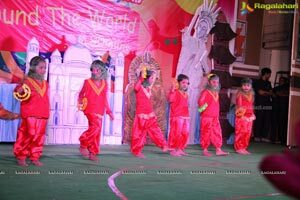 LKG children of Kondapur perform martial arts in China. 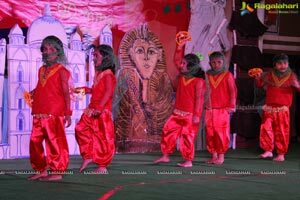 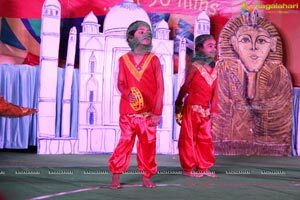 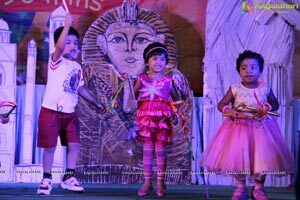 In Egypt the Miyapur children of lag performed an Egyptian dance. 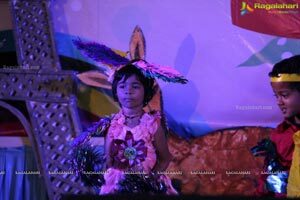 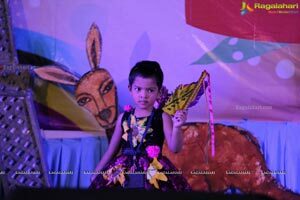 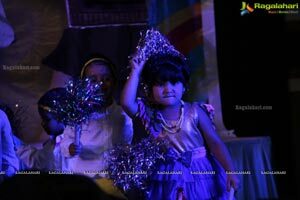 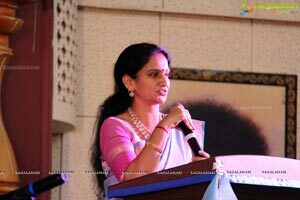 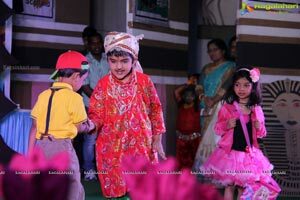 At Paris the LKG children of Kondapur put up a fashion show and do a ramp walk. 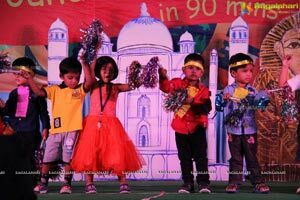 In Australia Nursery children of Miyapur dressed up like Kangaroos and dance on a song ‘Jump jump jump like a kangaroo..’ At Hawaii the UKG children of Manikonda dance to a beach song. 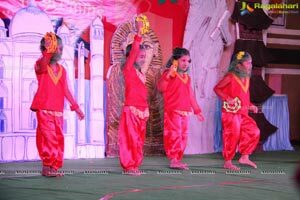 Back in India, Ukg Children of Kondapur present 4 folk dances of India. 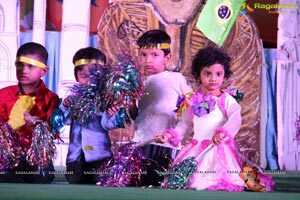 The concluding song with the message that each country is unique and that World is One, is conveyed by all the children of different countries coming in to dance on a celebration song waving flags of different countries.